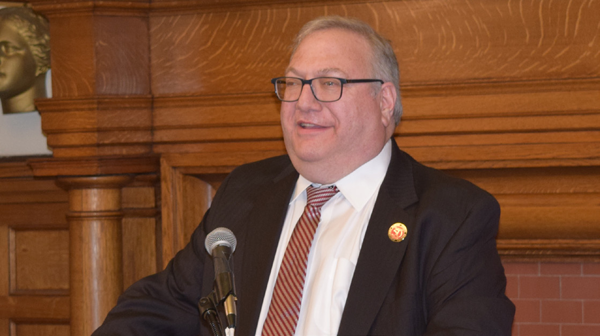 On April 26, 2018, the PCCC Foundation’s 26th Annual Scholarship Gala was held at the Hamilton Club building. College faculty, students, government officials, and community members came out to show their support by raising money for PCCC scholarships. 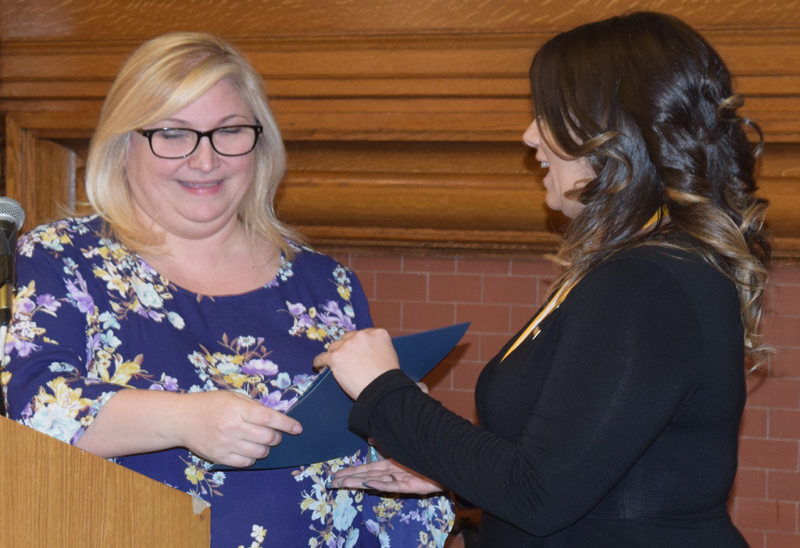 The event included basket bidding, delicious food prepared by PCCC’s own culinary program, and speeches given by previous recipients of scholarships. Various organizations in the PCCC community donated baskets that guests bid on. 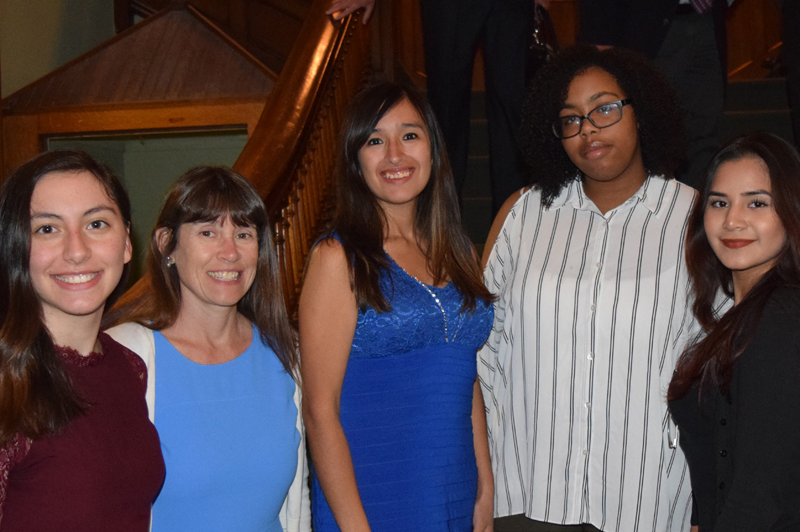 Gala Event – Newspaper Staff: Visions College Newspaper, left to right: Co-Editor-in-Chief, Erica Russelman; Advisor, Dr. Christine Redman-Waldeyer; Co-Editor- in-Chief, Katherine Tapia; Staff Writer, Janiece Carter; and Man- aging Editor, Stephany Ayala. Star pupil Sally Segovia returned to the Hamilton Club to serve food at another major PCCC event. Previously, Segovia made an appearance at the Faculty Party of 2017 to serve some of her delicious creations. Towards the end of the gala, guests got to hear from the stars of the night: the recipients of the scholarships from last year. Hearing about how much donations to the foundation help is motivating for other students to strive and for donors to help students. The 26th Annual Scholarship Gala reminded all in attendance what education can do, and what donations can do for students’ academic experience.